The Duke of Sussex met war widow Daphne on three occasions, pictured here in Sydney in 2018. Source: Getty. Prince Harry is said to be planning a personal tribute to war widow Daphne Dunne after the news emerged on Tuesday that she had passed away at the age of 99. According to People, the Duke and Duchess of Sussex are planning to reach out privately to Daphne’s surviving family by penning a personal letter. A royal source is said to have told the news outlet that the couple are “deeply saddened by the news and they are thinking of Daphne’s family at this time”. The 34-year-old prince developed a sweet friendship with his Daphne, from Sydney, who earned the title of Harry’s biggest fan, after she waited hours to meet him during his last three visits to Australia, even stealing several kisses from the young royal. 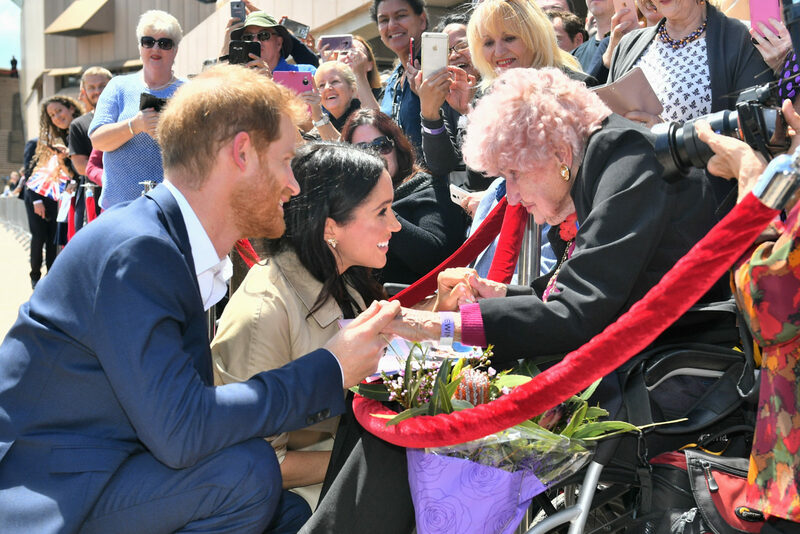 Seven News confirmed that Daphne passed away from pneumonia at her home on Monday, just days after she appeared on television to proudly show off the personal letter she had received from Harry and his wife Meghan to mark her 99th birthday. 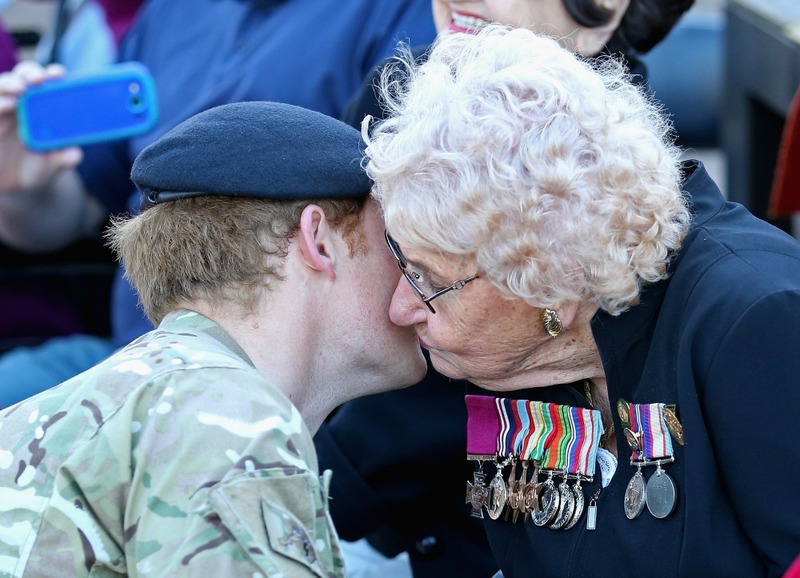 The pair met for the very first time in May 2015 when Prince Harry, dressed in military uniform, met the war widow during a walkabout in Sydney, whilst she was wearing her husband’s Victoria Cross medal. Harry introduced Daphne to his wife Meghan in October last year. Source: Getty. Last Friday, Daphne received a special message from her favourite young royal on her 99th birthday, as the royal super fan was surprised with a personalised letter from the expectant parents. During an episode of the Today show, Daphne, who was seen sitting upright in her hospital bed, was pleased to hear Harry had reached out to her after claiming “he wouldn’t even think of it [her birthday]”. The young royals sent their “warmest wishes” to their favourite Aussie, writing: “Dear Daphne, my wife and I send our warmest wishes to you on the occasion of your 99th birthday on Friday. The royal family are yet to release an official statement, or post an official tribute on social media. Do you have a message of condolence for Daphne’s family? Do you think it’d be a touching gesture for Prince Harry and Meghan to write to Daphne’s family?